….blocking the access to the rest of the circuit and in place diverting cars up the little hill you see in the background on the above picture. 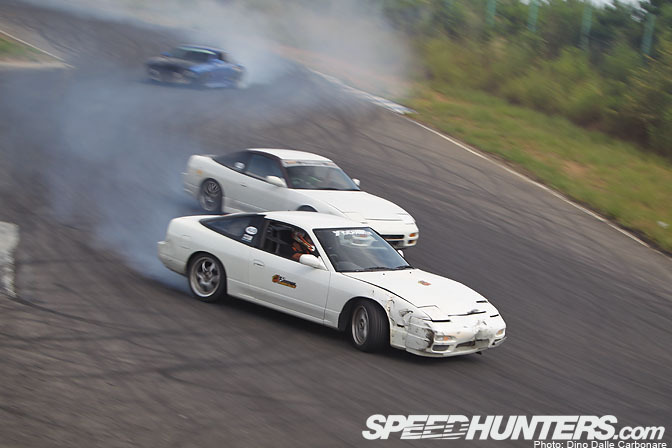 While waiting for this to happen Suenaga and Kumakubo kept practicing and at one point Koguchi joined in the fun with his blue S14 for some pretty cool triple drifts. It wasn't long before more cars started to roll in. …a car we saw back in part one sitting in the pits at Nishi. This thing was fitted with some pretty wide rear tires! 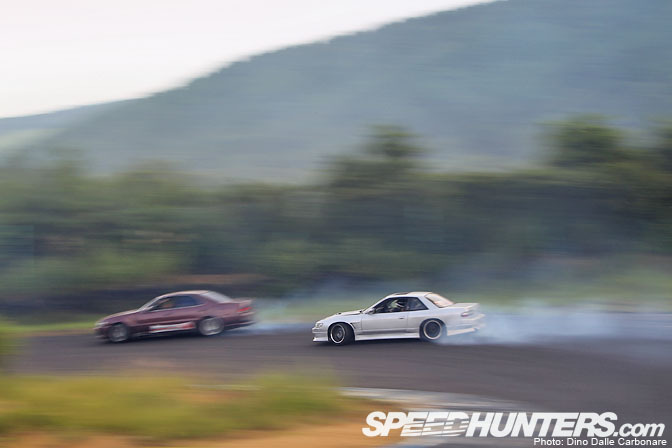 Kumakubo and Sumika were literally practicing for hours at Nishi, trying to get those all important high speed manji drifts right. That's Koguchi in the background trying to catch up to the Team Orange guys. As soon as the Short Course opened the traffic really intensified at Nishi with all the gaijins returning to where they had disputed the second round of the G1GP only days earlier. 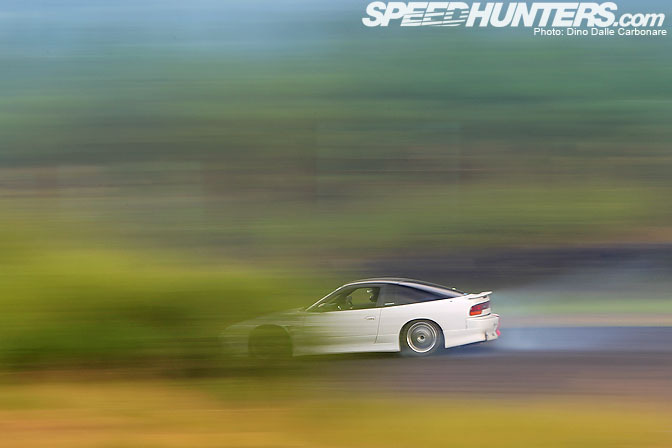 This is Chris Pickering on board his new S13. 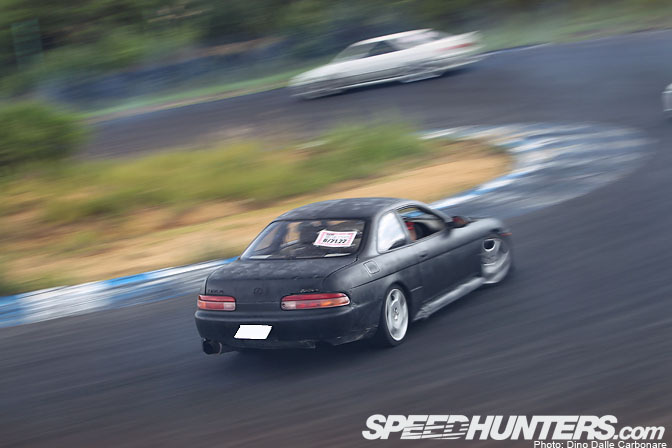 This is one special ride, the last car that D1 driver Kuroi had a chance to work on before tragically passing away. Chris picked it up from Kuroi's best friend and was extremely satisfied with the smooth power and the crazy angles he could get thanks to the special Kuroi set-up. 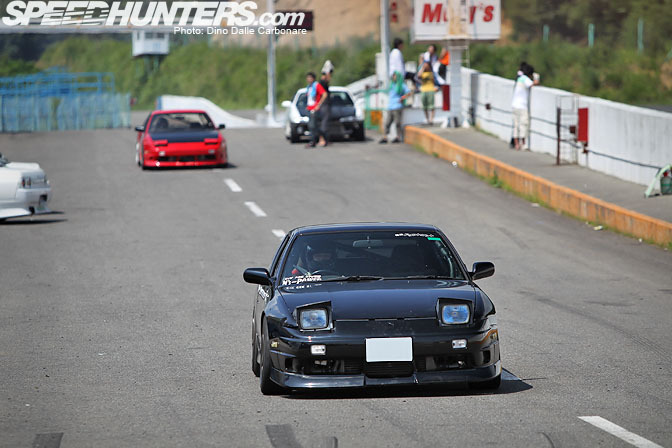 Here he is chasing Andrew Sunderland in his JZX90, a car that we saw plenty of in the last Matsuri. Nothing wrong with a bit of ghetto matte black! 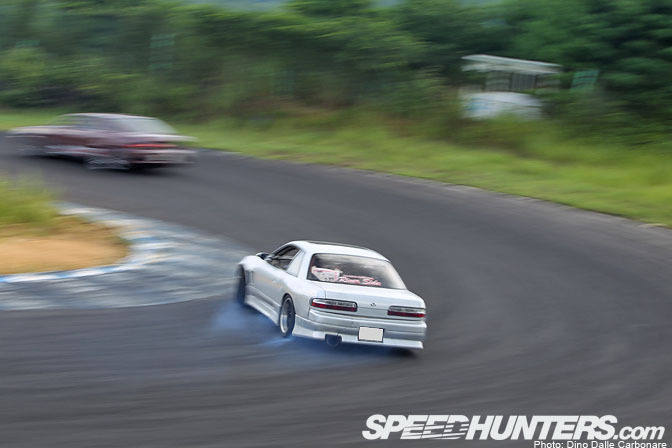 Koguchi in one of this crazy 80+ mph entries! 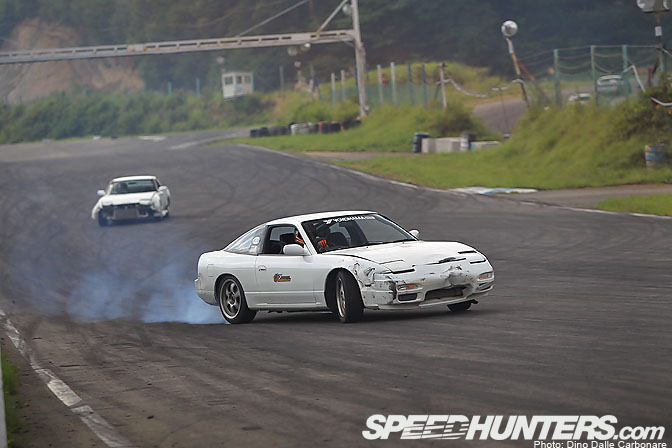 Not a popular car in the drift circuit but easily getting the tail out. 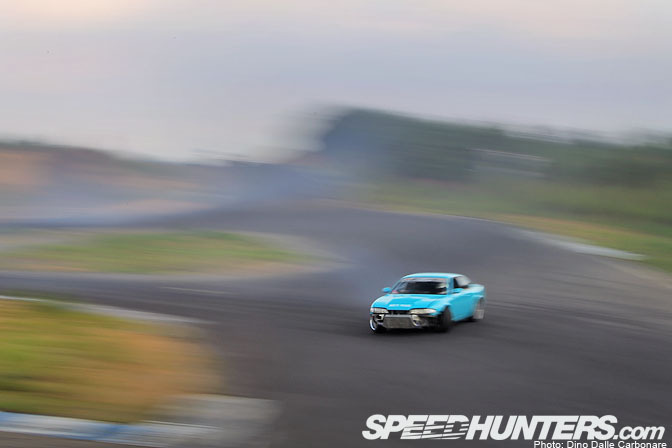 That completes the coverage of yet another Drift Matsuri. 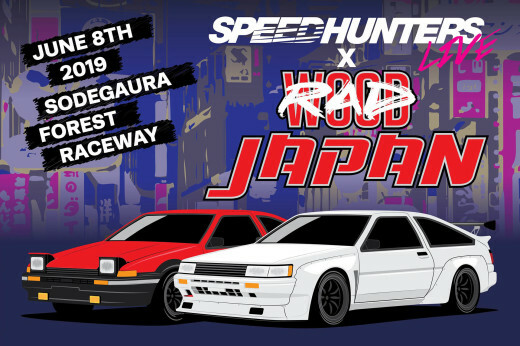 It will be 9 weeks before the final one of the year rolls around and that is already said to be the biggest yet, with an even larger gaijin presence. 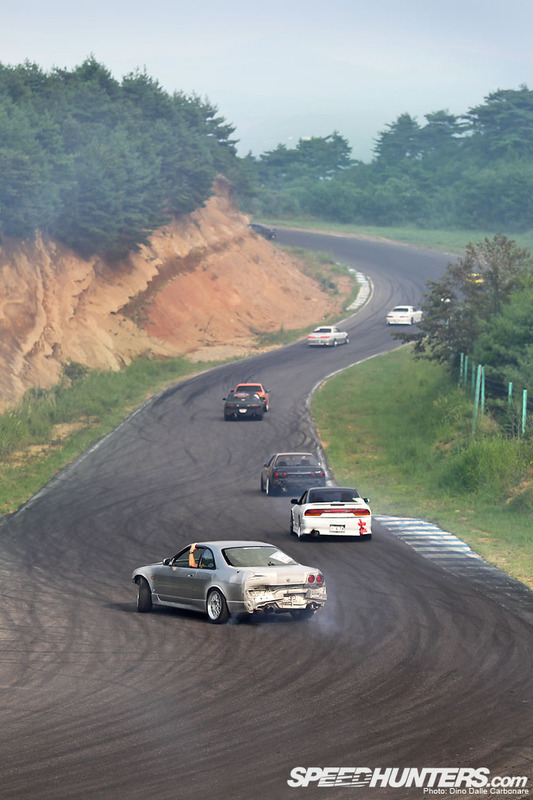 Not only, a lot of the pro drivers that will be at Ebisu for the Drift Summit Kumakubo is organizing will be sticking around for the Matsuri so things are bound to get pretty interesting. 9 weeks isn't so long right! So wicked seeing half these Missiles flying all over the track! Nice stuff Dino! 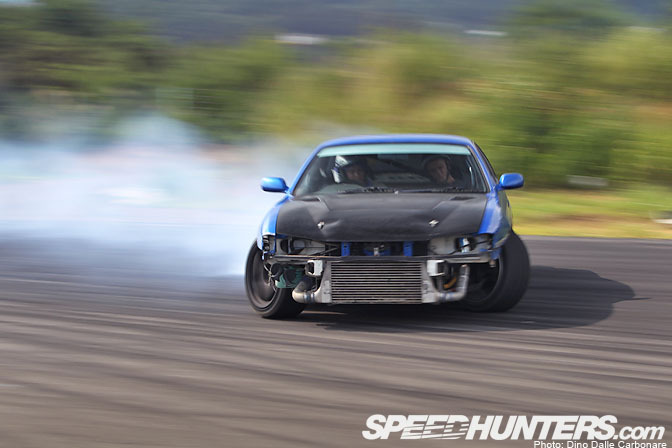 I am going to the next Drift Matsuri for sure. 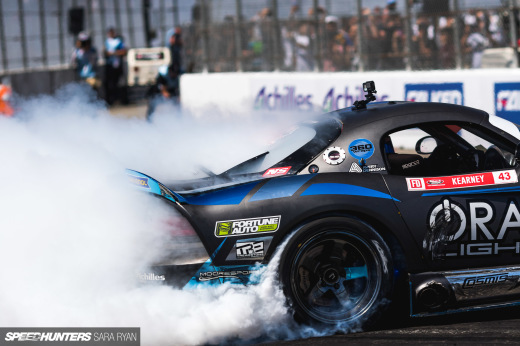 The tire size on the rear of the Sky Blue S-14 was. 265/40 Federals on 17in 11.5J +11 Works. desktop of disappearing car plz. So let me just say it, the only reason why half of us know what gaijin is, is from Tokyo Drift. 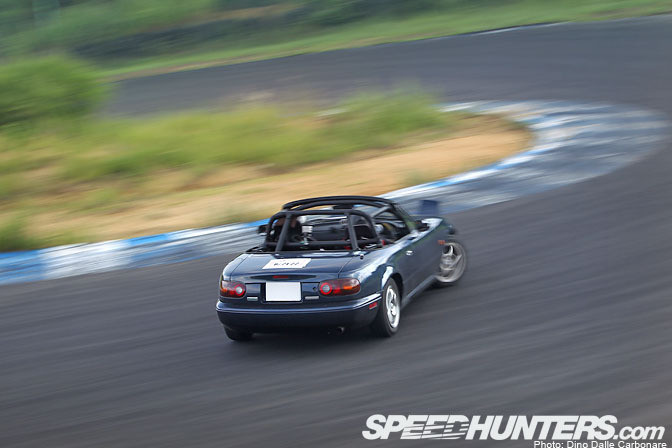 Otherwise awesome cars out on the track! Poor R33 in the first pic! Desktop of #3 please! That is an awesome shot! Sorry, I meant desktop of #4... THAT is the awesome shot, haha.. Missiles!! 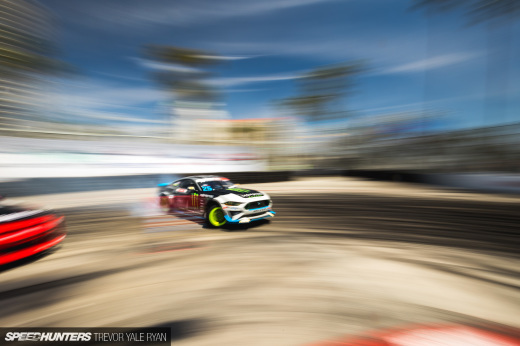 Drift cars with high-dollar body kits and paintjobs are cool to look at, but kind of a waste of money. Just mod it enough to be competitive. That way you won't have a heart attack when (and eventually you will) scratch or dent it.